Author: Revoyr, Nnina Set In . . .
"I'm an LA native with a lot of love for LA crime fiction, but instead of preaching to the noir choir about The Long Goodbye, I'd like to gush about Southland by Nina Revoyr. It's a brilliant, ambitious, moving literary crime novel about two families in South Los Angeles and their tangled history between the 1930s and the 1990s. The central mystery is the death of four black boys in a Japanese-American man's store during the Watts Rebellion of 1965. It's a powerful book, one that I think about often, as well as a huge influence on my work. Right up there with Chandler." --Stephanie Cha (of the LARB) in GQ on "The Greatest Crime Novelists on Their Favorite Crime Novels Ever"
"Jackie Ishida's grandfather had a store in Watts where four boys were killed during the riots in 1965, a mystery she attempts to solve." --New York Times Book Review, Ross MacDonald on "Where Noir Lives in the City of Angels"
"[A]n absolutely compelling story of family and racial tragedy. Revoyr's novel is honest in detailing southern California's brutal history, and honorable in showing how families survived with love and tenacity and dignity." 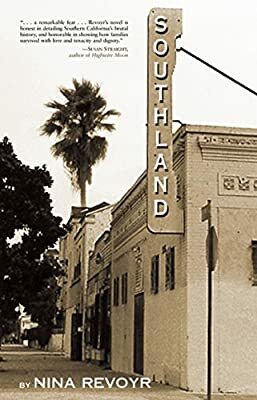 Southland brings us a fascinating story of race, love, murder and history, against the backdrop of an ever-changing Los Angeles. A young Japanese-American woman, Jackie Ishida, is in her last semester of law school when her grandfather, Frank Sakai, dies unexpectedly. While trying to fulfill a request from his will, Jackie discovers that four African-American boys were killed in the store Frank owned during the Watts Riots of 1965. Along with James Lanier, a cousin of one of the victims, Jackie tries to piece together the story of the boys' deaths. In the process, she unearths the long-held secrets of her family's history. Southland depicts a young woman in the process of learning that her own history has bestowed upon her a deep obligation to be engaged in the larger world. And in Frank Sakai and his African-American friends, it presents characters who find significant common ground in their struggles, but who also engage each other across grounds--historical and cultural--that are still very much in dispute. Moving in and out of the past--from the internment camps of World War II, to the barley fields of the Crenshaw District in the 1930s, to the streets of Watts in the 1960s, to the night spots and garment factories of the 1990s--Southland weaves a tale of Los Angeles in all of its faces and forms. Nina Revoyr is the author of The Necessary Hunger ("Irresistible." --Time Magazine). She was born in Japan, raised in Tokyo and Los Angeles, and is of Japanese and Polish-American descent. She lives and works in Los Angeles.